Acorn-Fed Pure Iberian Shoulder by 'Sanchez Romero Carvajal' the same people who produce the world-famous Cinco Jotas (5J) brand. 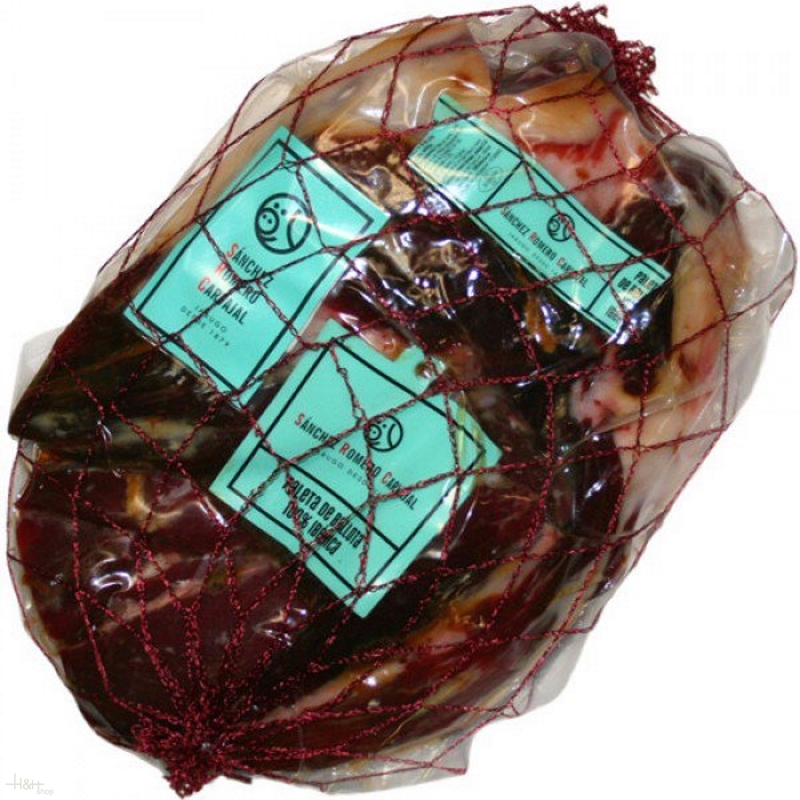 This shoulder ham is made the front limbs of 100% pure Iberian pigs reared in the vast pastures of the Iberian Peninsula and fed on acorns during the 'Montanera' fattening period. The traditional method for preparing the 'SRC' shoulder involves cutting the joint into a crescent moon, salting and drying the shoulder, before leaving it to cure in cellars in the Jabugo region in the south of Spain. 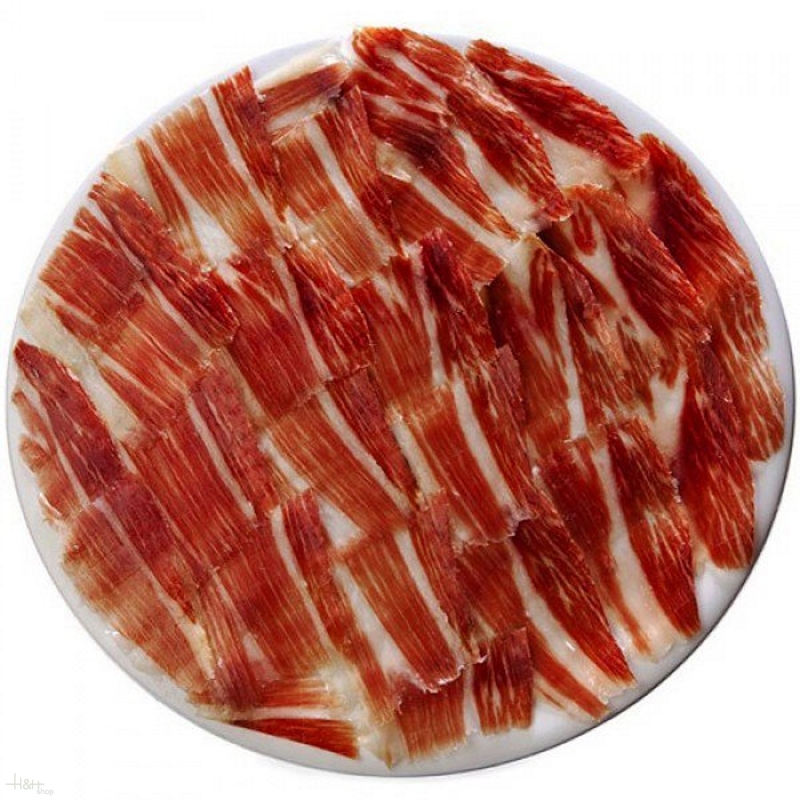 'SRC' Acorn-Fed Pure Iberian Shoulder Ham has an exquisite taste and unmistakable bouquet, with a pleasant lingering aroma. When sliced, one can appreciate its uniform colour with myriad shiny streaks of infiltrated fat. Note: Unlike most online stores that obtain 'SRC' products distributors, JamonShop.es purchases all its 'SRC' hams directly the manufacturer (Sanchez Romero Carvajal, which belongs to the Osborne Group). 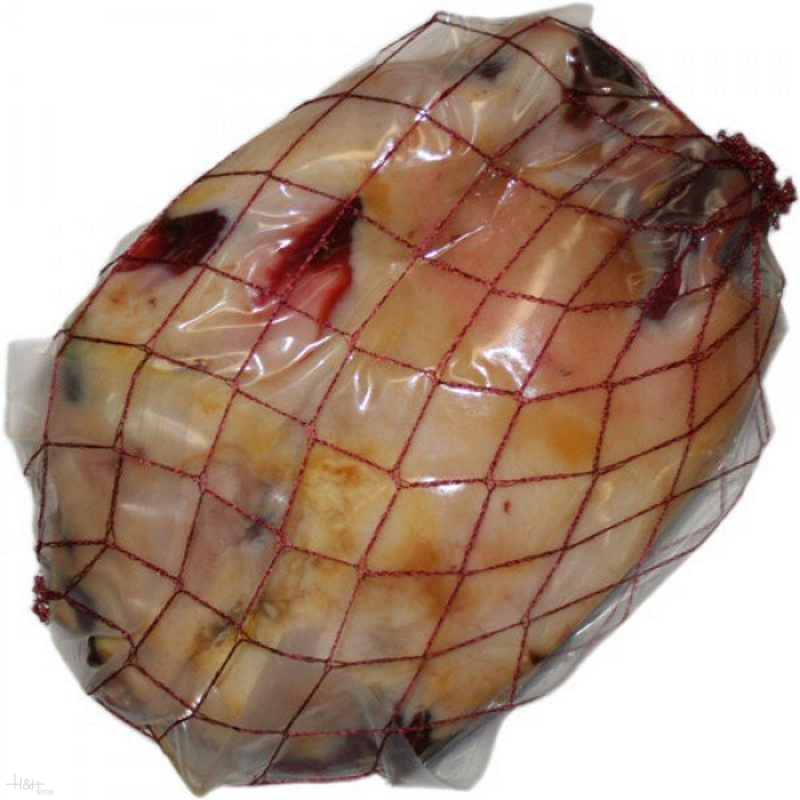 This allows us to offer extremely competitive prices and, more importantly, also enables us to guarantee the freshness and quality of all our 'SRC' products.